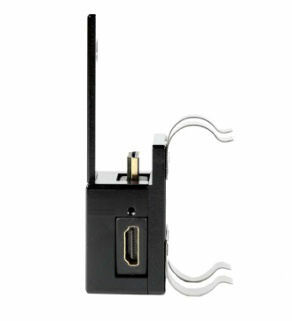 Connex Long Range 10,000 ft.
Orders received after 1:00 PM EST may not ship until the next day. 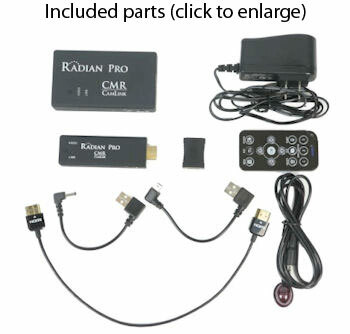 Domestic shipping for Radian products is FREE for orders over $150! 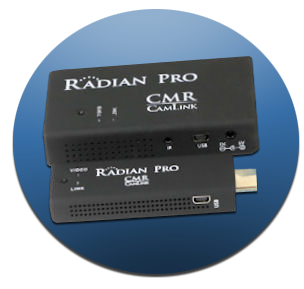 CMR Radian wireless HD transmitters and receivers are manufactured with Amimon WHDI professional quality chip sets for best uncompressed resolutions and frame rates up to full 1080P(60), near zero latency, and line-of-sight range over 300 feet. 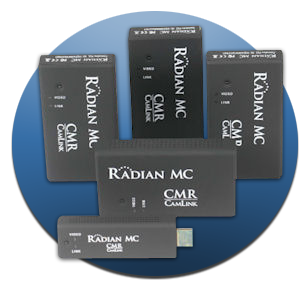 Radian sets operate on the unlicensed 5 GHz band, and transmitters and receivers require 5 volt power. 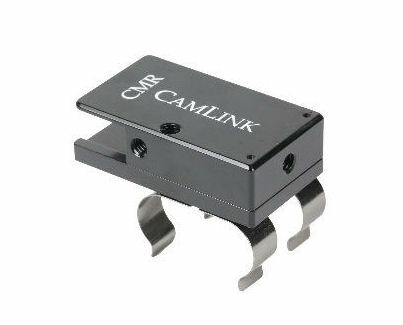 They have simple plug in and play operation, and the best channel is selected automatically on power up, and seamlessly switched if necessary during operation if conditions change. 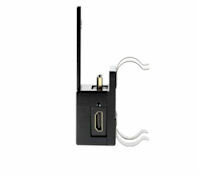 Transmitter: 3.7 x 1.2 x .6" / 1.3 oz. Reciever: 3.9 x 2.2 x .9" / 2.7 oz. 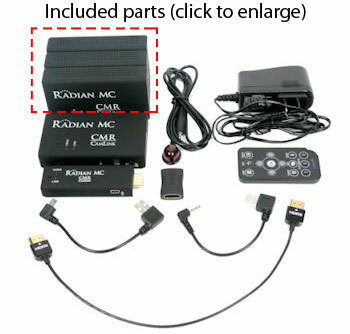 Radian Pro and MC sets for the US have the maximum number of DFS and non-DFS channels available with Amimon professional chipsets in full compliance with FCC Part 15 unlicensed rules for indoor and outdoor use. Radian sets shipped to the EU have a modified DFS and non-DFS frequency set in order to insure full compliance with ETSI rules for indoor use. 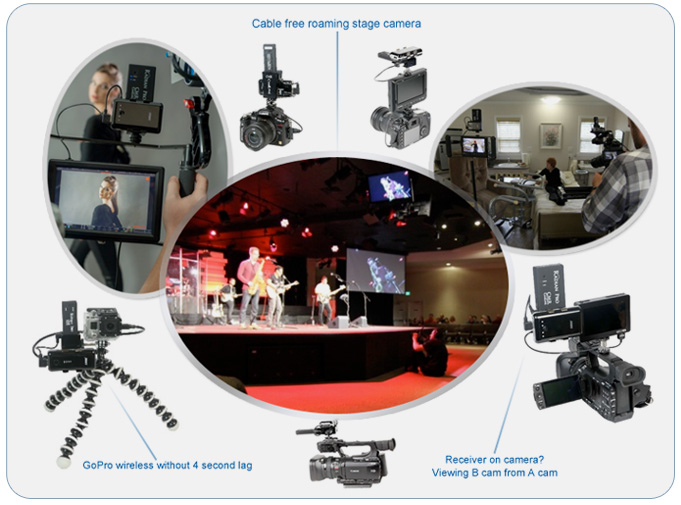 Wireless video connections eliminate the need for trailing cables from cameras to a director’s monitor or video village. 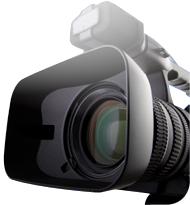 They free up camera operators from the distraction of directors/DPs or clients crowding around the camera to see what is being shot. 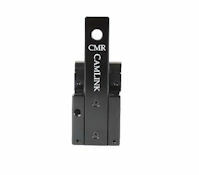 They are perfect tools for camera crane operation, or for follow focus assistants working with a steadycam operator, and with the new multi-axis stabilizers coming on the market. 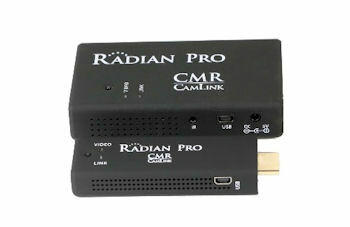 Radian wireless sets provide new possibilities for affordable cable free video connections up to HD resolution at sporting events, entertainment venues, and faith services. 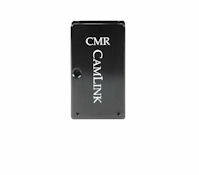 CMR Radian wireless sets combined with CMR Camlink Backbones provide compact wireless video solutions using USB batteries for more than 6 hours of operation for both the TX (transmitter) and RX (receiver). The large battery option on the TX Backbone (simply move one battery clip) can extend operating time to 10 hours without a battery change. 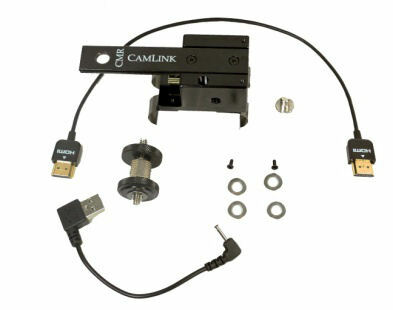 Backbones are made from milled anodized aluminum, and battery clips are chrome plated spring steel. 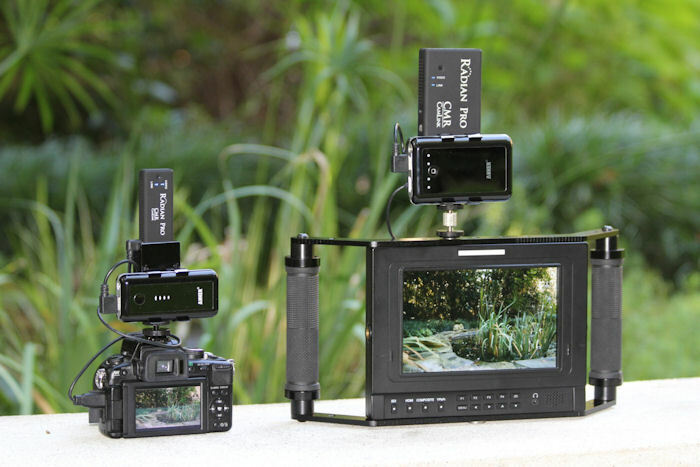 The TX and RX Backbones each have three orthogonal ¼-20 threaded mounting holes, and include camera hot shoe mounts (TX only) and thumb studs with locking nut accessories for mounting to cameras and monitors or other rigs. 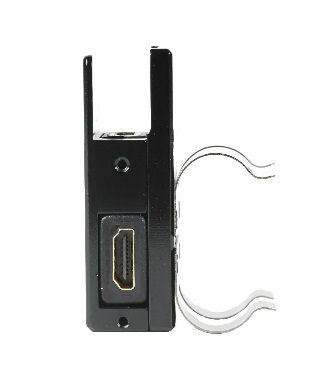 Both TX and RX Backbones include USB power cables and thin HDMI cables. 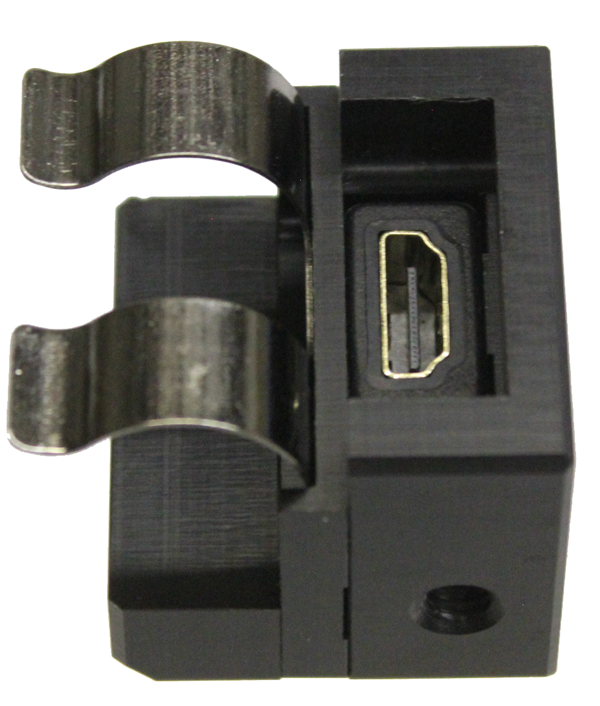 TX includes accessory/thru hole mounting block. 2.7 x 1.8 x 1.5" / 3.8 oz. 4 x 1.8 x 1.5" / 4.7 oz. NEW! 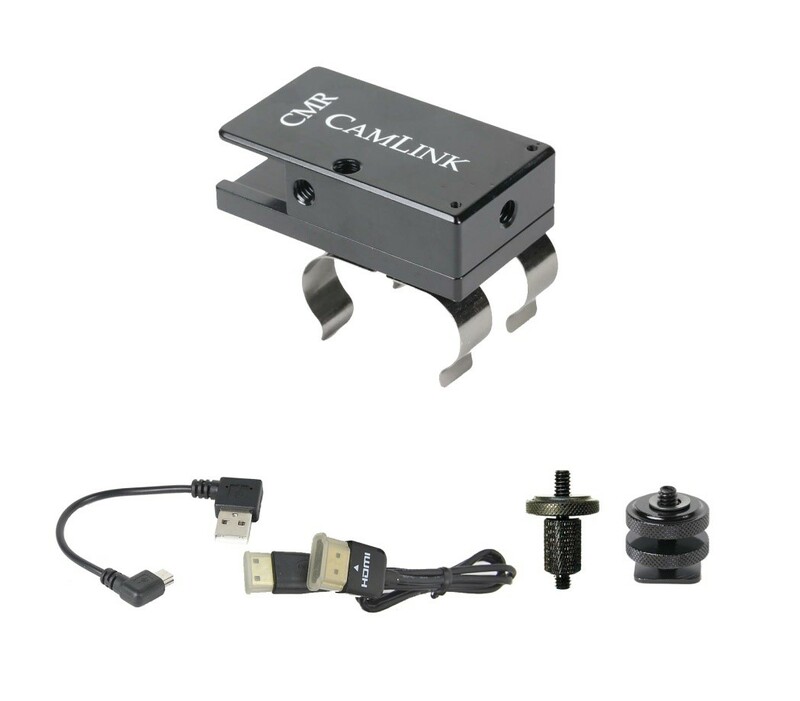 The MINI TX Backbone requested by customers wanting the smallest and lightest transmitter package with self-contained power is now available. The MINI TX Backbone is made from machined delrin , and our chrome plated spring steel battery clip. 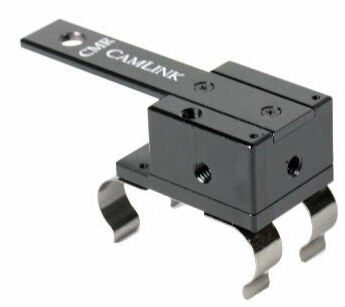 It has two ¼-20 mounting holes. 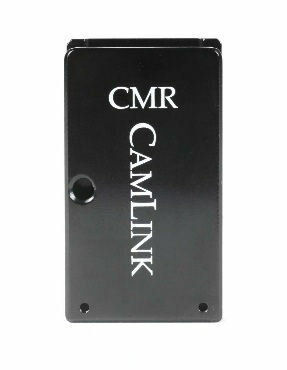 The MINI TX Backbone uses a smaller lithium battery that powers the transmitter for over 3 hours. The battery has an on/off switch , and a very accurate digital display of remaining % power, that indicates both during powering, and during charging. 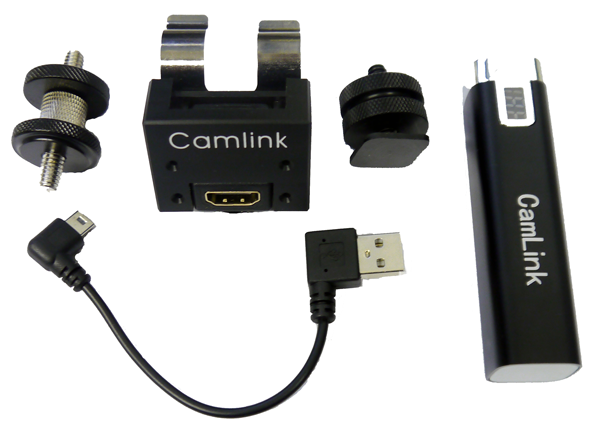 The MINI TX BackBone kit ships with one battery, USB power cable, anodized aluminum thumb stud, cold shoe mount, and choice of thin HDMI. 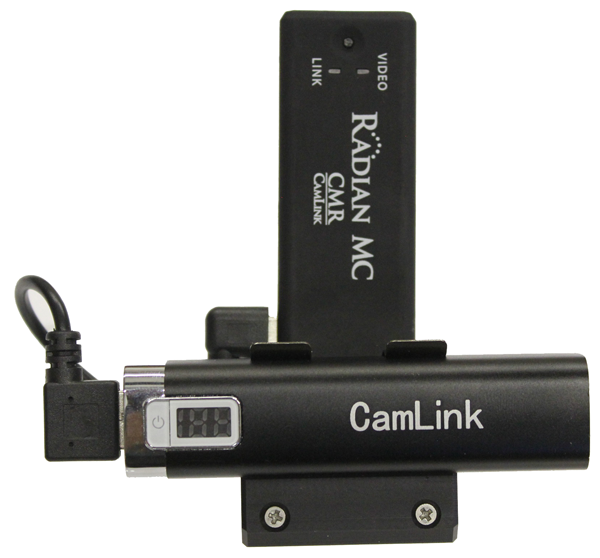 Weight including Radian TX, backbone and battery is 6 oz. 1.7 x 1.5 x 1.5 " / 2 oz. 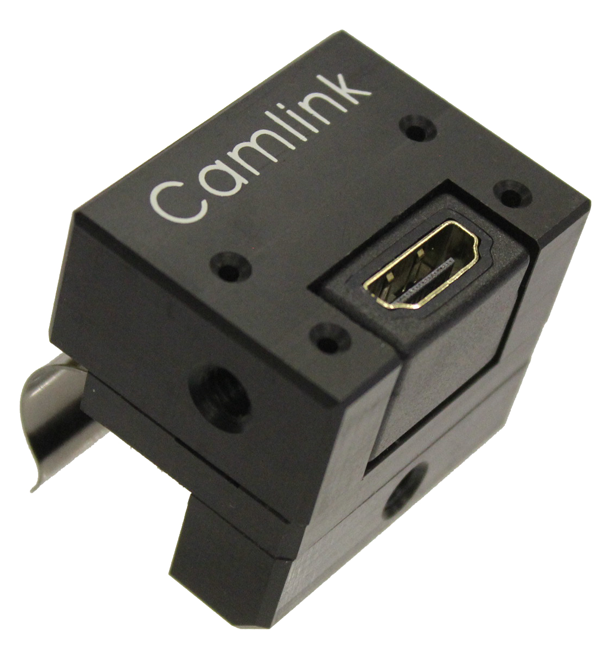 ~ .9 x .9 x 3.5"
The CamLink TX and RX Backbones are designed to work with multiple brands of widely available USB lithium batteries. 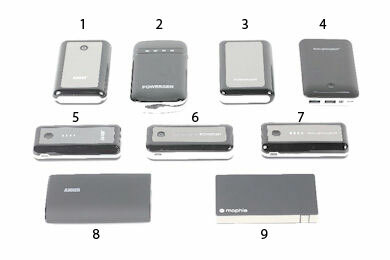 These batteries were developed for the hugh market of charging cell phones and tablets and are reliable low cost devices with a proven track record. We have over 10 months testing experience with some of them. You can purchase Anker Astro batteries and a dual port charger in our store. 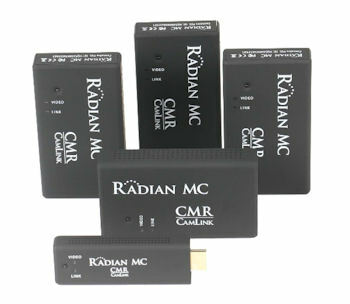 The Radian case provides compact and light weight protection for your Radian wireless system components. 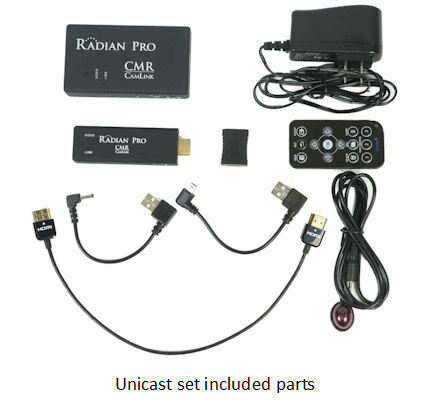 The case has pockets for a Radian Pro transmitter and receiver with Backbones attached, along with pockets for 4 batteries, power and HDMI cables, USB battery charger, hot shoe adaptors and thumb studs. 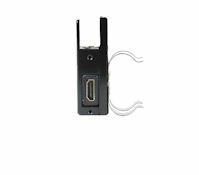 It can also be used to store a multicast transmitter and 2 receivers with Backbones along with 5 or 6 batteries and other accessories. 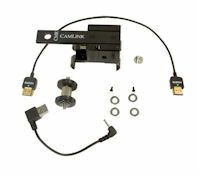 Use your on-board battery with the CamLink D-tap connector with 5 volt @ 2 amp. 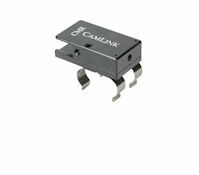 converter to power your Radian transmitters or receivers. 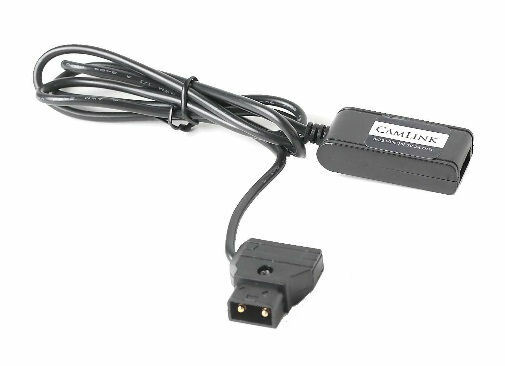 The D-tap converter will accept voltages from 9 to 22 volts, and it includes polarity protection so that in the very unlikely event that the D-tap plug is inserted incorrectly (mating connector mis-wired, worn/out of spec. ), there will be no damage to the converter or connected devices. 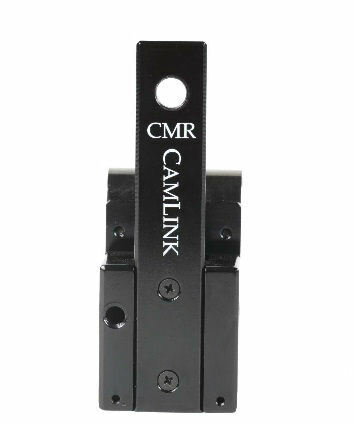 CamLink monitor yokes are lightweight anodized aluminum construction with comfortable hand grips. Each beam has six 1/4-20 threaded holes for accessories. Yoke height is adjustable from 5 ¼ in. 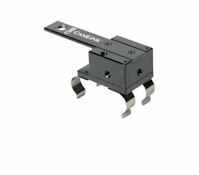 up to 8 in., and handle spacing accommodates monitors up to 10 in. wide. 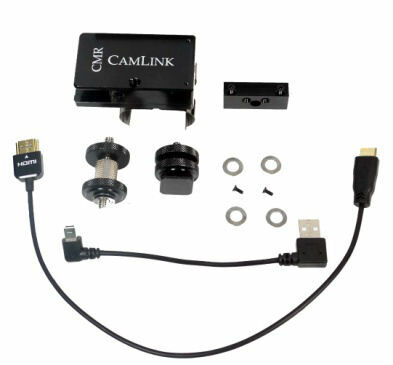 For shipment to EU countries please contact us at sales@camotionllc.com.